The original Morningside Mall was an enclosed shopping centre originally built in the 1970s and had passed its prime. The mall was suffering from numerous vacancies, including the loss of major anchor tenants, contamination from previous uses, and safety concerns due to crime. 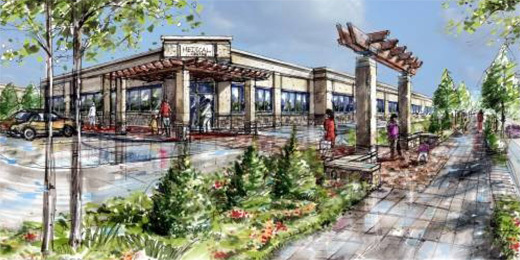 Realizing an extraordinary opportunity, MHBC worked with the owners to redevelop the site for a common unified vision. 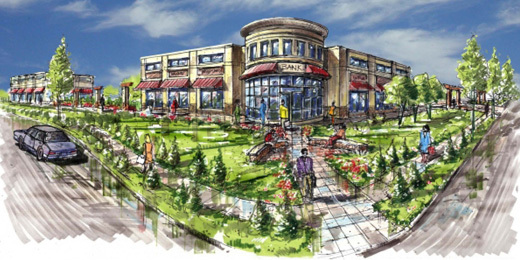 The enclosed mall was demolished and tenants were relocated in mixed use buildings with a high level of architectural design closer to the street. The result was an immediate reinvestment in the site by the owners and the elimination of visual blight created by the existing derelict mall. The site is now reconnected to the surrounding area through built form at the street and pedestrian walkways.